The National Weather Service says parts of the Iowa Great Lakes saw the second highest flooding on record in June and July. The flooding caused concerns about invasive fish getting into the lakes. State fisheries biologist Mike Hawkins says high water allows the unwanted fish to swim upstream over the top of two dams near the Iowa Great Lakes. He says they seem to be stopping at the electric barrier at Lower Gar Lake that officials and community members installed six years ago. 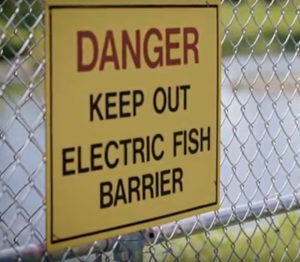 “The electric barrier is really the last line of defense there — and it looks like we’re successfully holding them back right now,” Hawkins says. Biologists are not sure if the barrier is holding back all of the fish, because they aren’t tagged. Biologists first saw these fish in the lakes in 2011. Hawkins says one species is a real concern because it can jump high out of the water. “Especially the silver carp, the Asian carp was thought to potentially impact recreation. It really scared people,” Hawkins says, He says they were worried about what would happen in the fish jumped up behind a boat and hit a someone on a tube or a water skier. 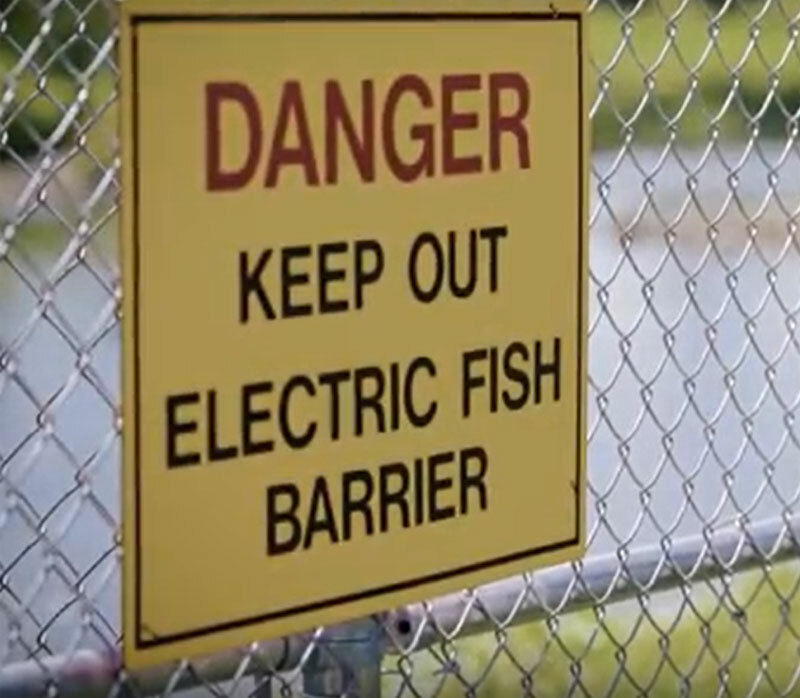 Hawkins tweaked the amount of current going into the electric fence earlier this year as the flood waters came up to try and prevent any fish from getting through. Hawkins says even if some carp swam through, they don’t tend to spawn in lakes He says sampling techniques used for other fish in the Great Lakes have not caught any Asian Carp, which is a good sign.